Changing centimetres to metres is a pretty standard conversion to do. All you need to do is divide by 100. 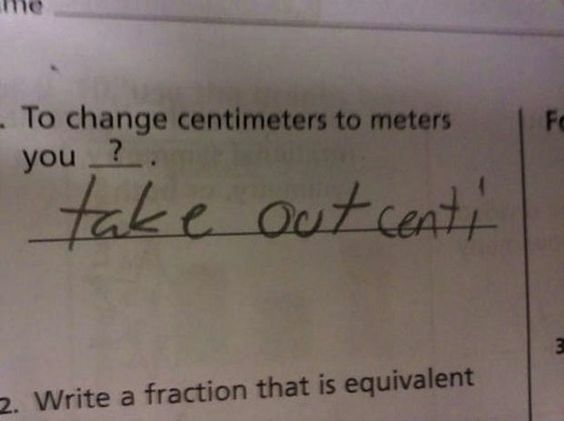 However, this confused student, let’s just say, thought the answer was to “take out centi.” Let’s try out this theory, if we take the number 10. 10 centimetres, remove the “centi” and we have… 10 metres. Yep don’t worry kid that method certainly works… I mean 10 metres is close to 0.1 metres. Yeah…. Don’t worry about it! 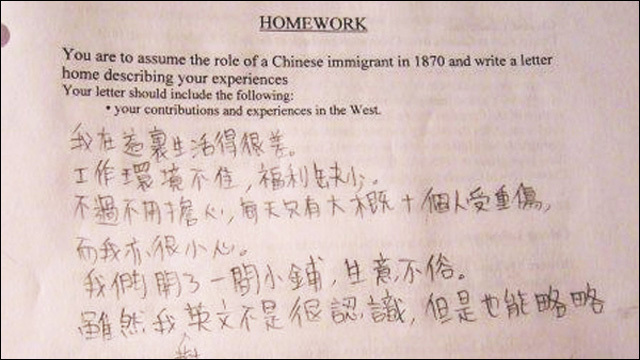 This student had the task of writing a letter, assuming to take the role as a Chinese Immigrant in 1870. This student had to write a letter describing the immigrant’s experiences and contributions and experiences in the West. Little did the teacher know that this student took his role literally and wrote the whole letter in traditional Chinese. What a smartass! 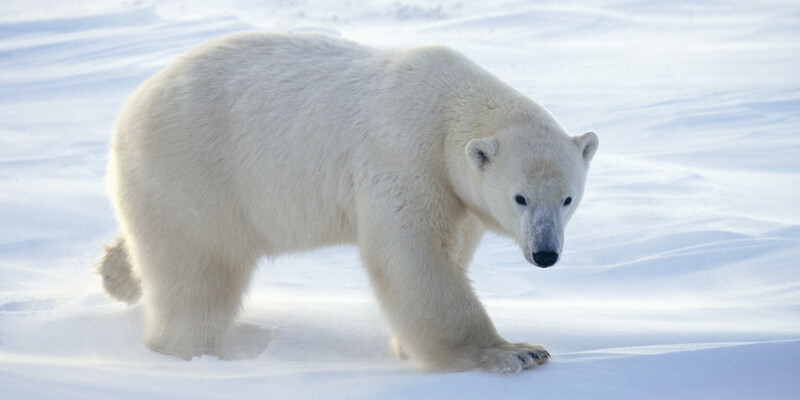 What do we call the science of classifying living things? Taxonomy perhaps? 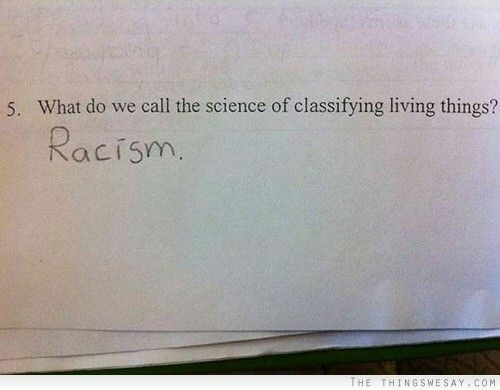 Well, this funny student thought that the answer was racism. 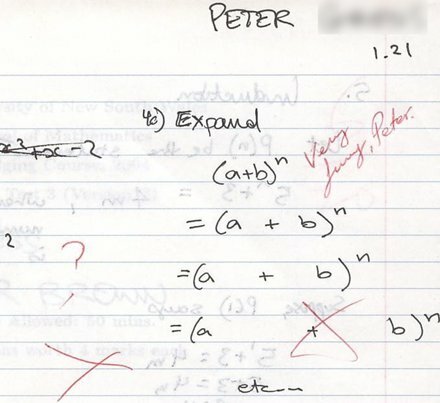 I wonder what the examiner thought of the student’s answer. Well, I guess Biology isn’t his thing.